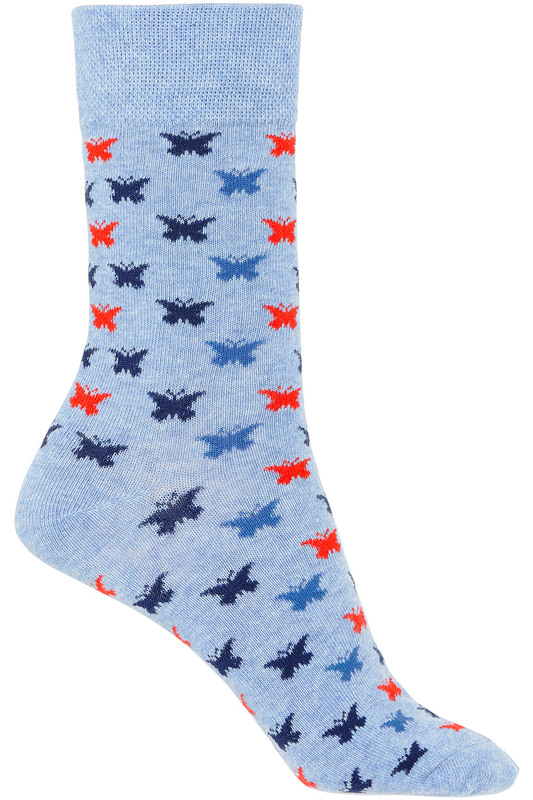 These cotton blend socks are breathable and comfortable, with feminine butterfly prints in soft blues and reds. With reinforced toes for durability, these are ideal for everyday wear. Contains 3 pairs for sizes 4-8. 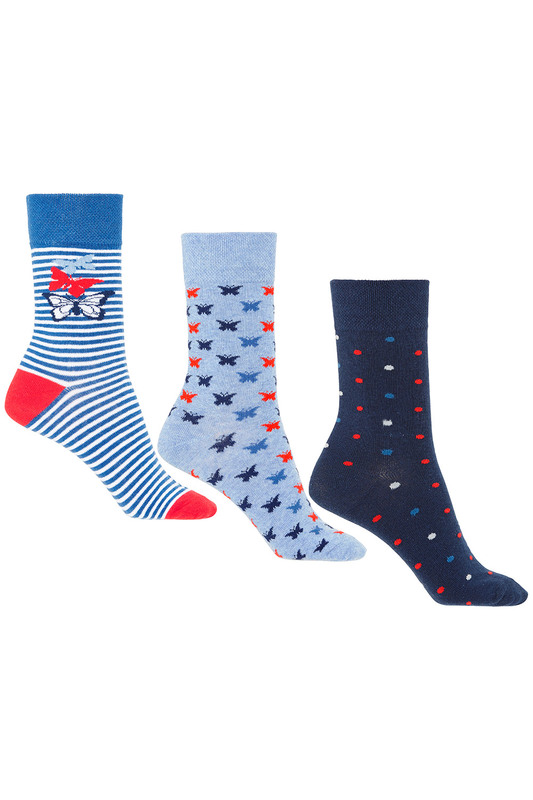 Material: Stripe: 73% Cotton, 25% Nylon, 2% Elastane. 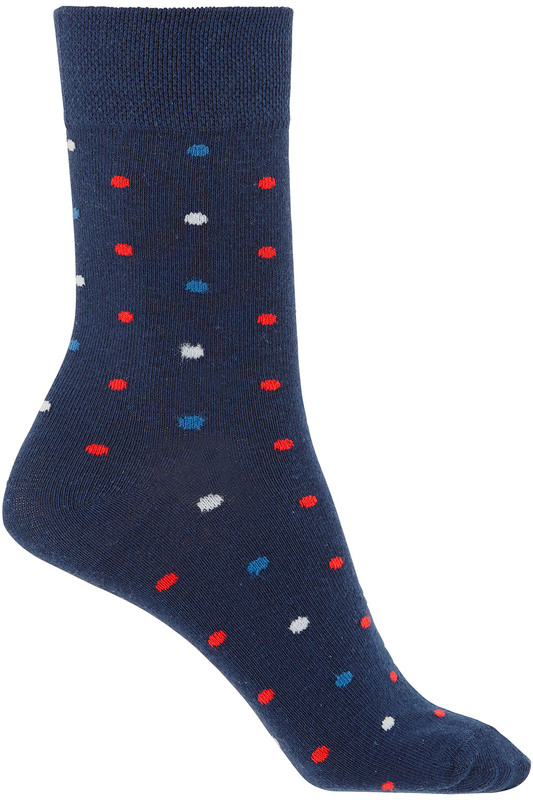 Spot: 75% Cotton, 23% Nylon, 2% Elastane. 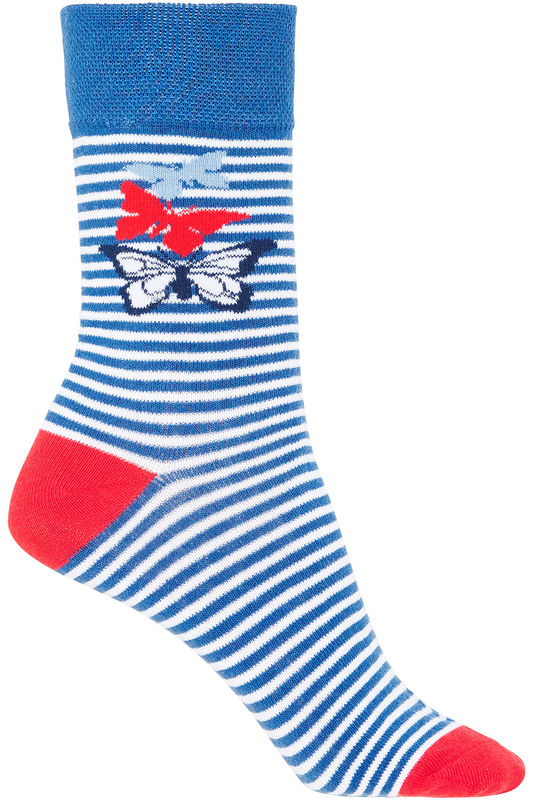 Butterfly: 66% Cotton, 32% Nylon, 2% Elastane.